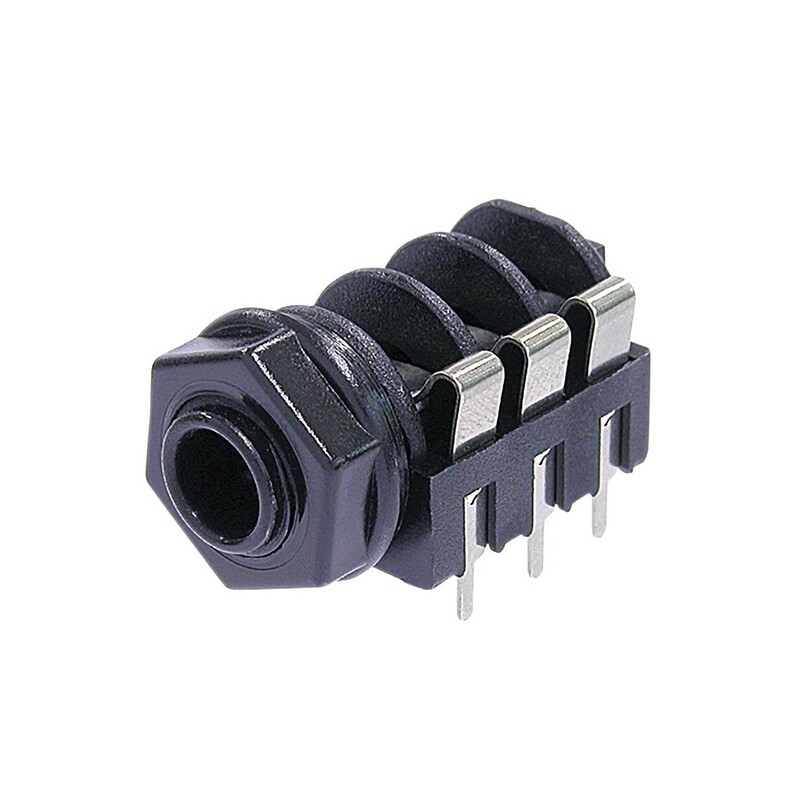 The Neutrik NMJ6HFD2 1/4'' Switched Stereo Chassis Socket is equipped with PCB Pins for horizontal PCB mounting. The NMJ6HFD2 mates with all stereo A-gauge plugs according to the EIA RS-453 standard, and features a fully threaded nose and a switched design. The NMJ6HFD2, with its silver-plated bronze contacts and wide polyamide body, is suitable for panels with a thickness less than 3mm. This rear-mounting connector features a retention spring locking system, and comes complete with a mounting nut.